Leightons in Epsom is always looking for ways to take part in local events and help the community. On Saturday 7th October, branch manager Marina and audiologist Charlotte attended the Age Concern Golden Tea Party where they saw many of their regular customers and chatted with members of the public. Local MPs, the mayor and over 80 of their patients attended the tea party to enjoy a mug of something hot, a slice of cake and meeting new people. The team from Leightons Epsom attended the event to help raise awareness of hearing loss and how it effects lives. Hearing loss will affect one in six of us by the time we reach our sixties, and many of us will already know somebody who struggles with their hearing. 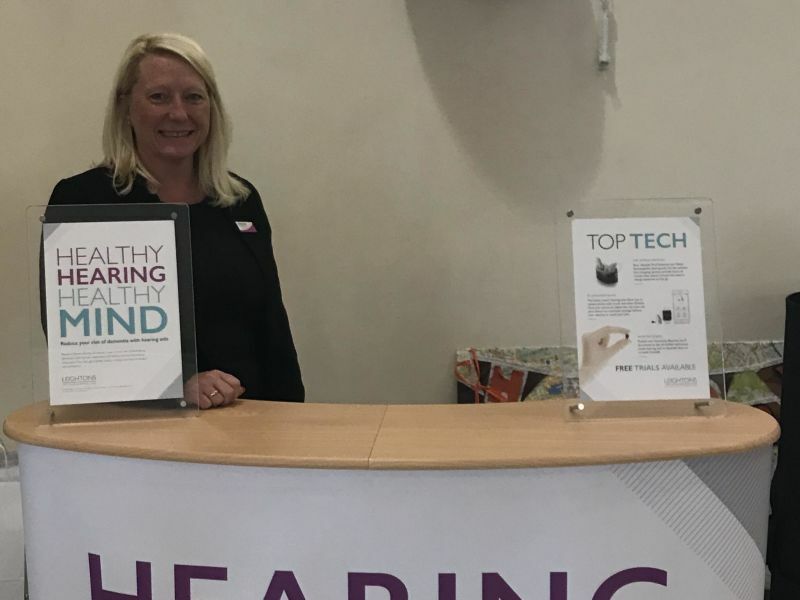 The Leightons teams talked about our range of hearing services including free hearing assessments, which will diagnose any possible hearing impairment and help people make the most of their hearing. With recent research linking deafness increasing your chances of developing dementia, it’s vital that everyone, especially the elderly, get regular hearing assessments to diagnose hearing impairment sooner. With ‘goodie bags’ gratefully received by members of the public, many also left with the reassurance that they can get their hearing checked completely free of charge with Leightons. Talking to other guests at the Age Concern Golden Tea Party made it even clearer the impact hearing loss can have on people’s lives – being in a crowded hall full of people talking proved difficult for some. Marina, Branch Manager at Epsom, said of the event "it was so lovely to be able to chat to people and hear their stories, they really enjoyed their afternoon and so did we!" If you have found yourself or a loved one turning the volume up on your tv, or struggling to hear people clearly, you can book your free hearing assessment online. Alternatively, call your local Leightons Opticians & Hearing Care to make an appointment with one of our fully qualified audiologists.